Mama said there’d be days like this….. Sadly, I didn’t notice this until I got him back on the frame. The needle should be in the center of the foot. I spent nearly $150 yesterday and ended up fixing this myself this morning. I have things to do and didn’t want to take another whole day to take it back to the dealer. So annoying! Finally back to quilting and realized my backing was too short. Ugh! Fixed that and finished the quilting on this. It is far from perfect, I nearly threw it out when I realized the backing was too small. Time to bind. Sigh. 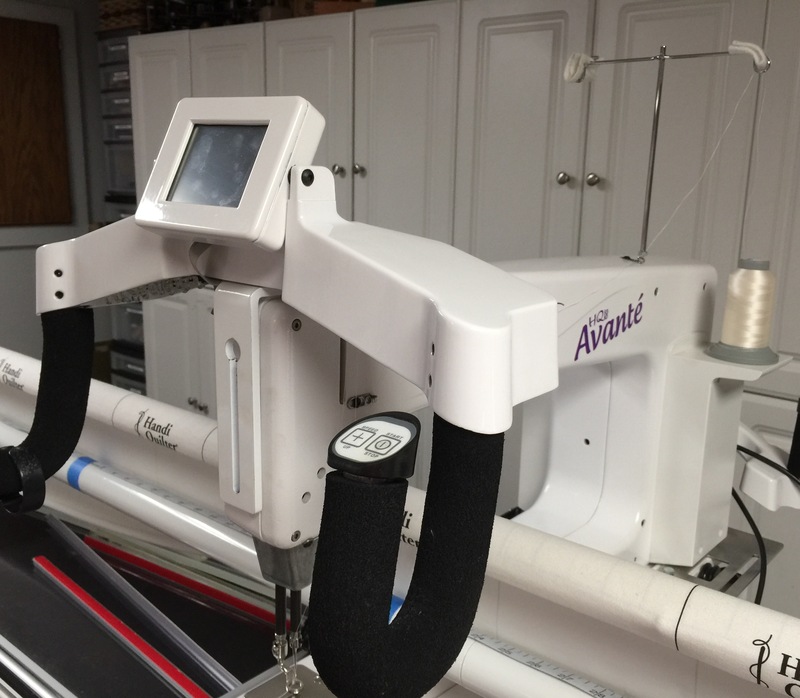 This entry was posted in HQ Avante, Long Arm Quilting, Longarm Quilting, Uncategorized. Bookmark the permalink. 13 Responses to Mama said there’d be days like this…..
All’s well that ends well. The quilting is pretty, and it is finished! Yes always days like that but hopefully few and far between!!! 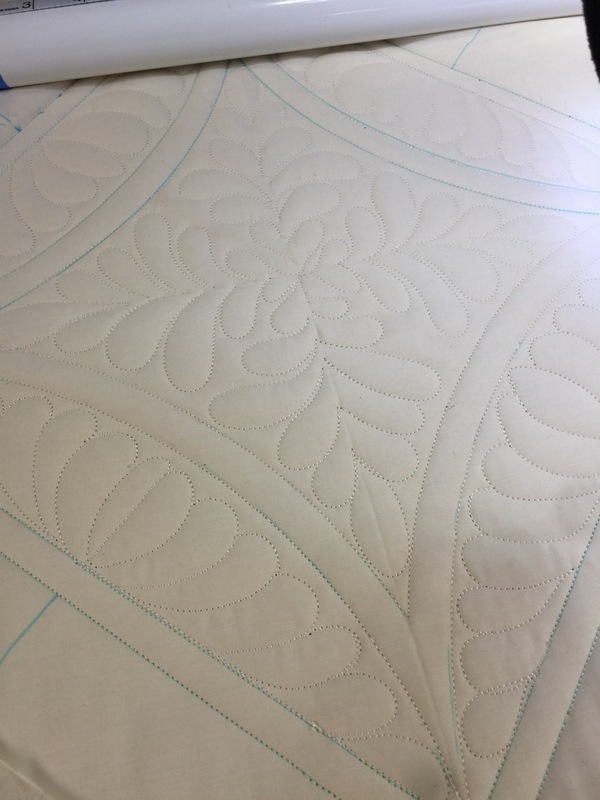 Quilting is gorgeous! That would be maddening to have the needle off after a “repair”. The quilting is beautiful, Katy! 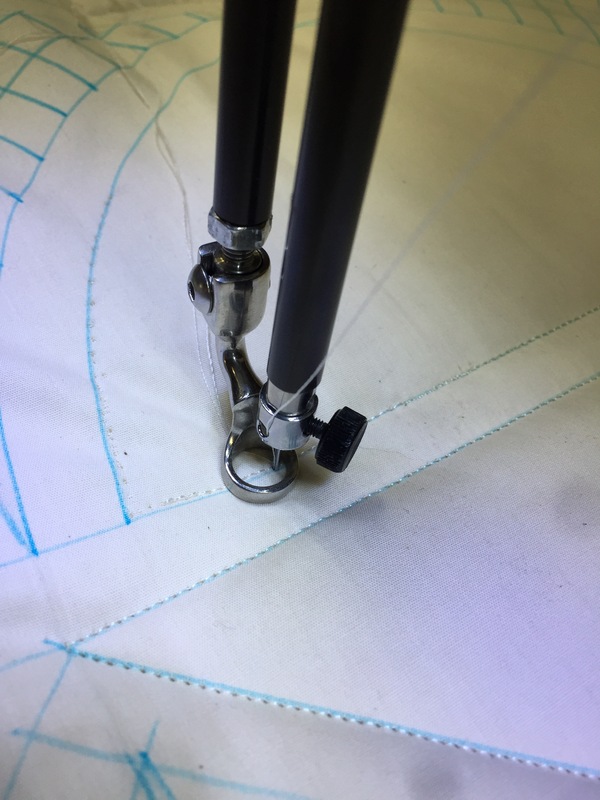 The time I found I had cut my backing ‘short’, I took it off the frame, drove home, added what I needed, then made another appointment for renting the longarm machine, and finally got it done. I loved the piece that I inserted into the back and I’ve often thought about that quilt and where it might be now. 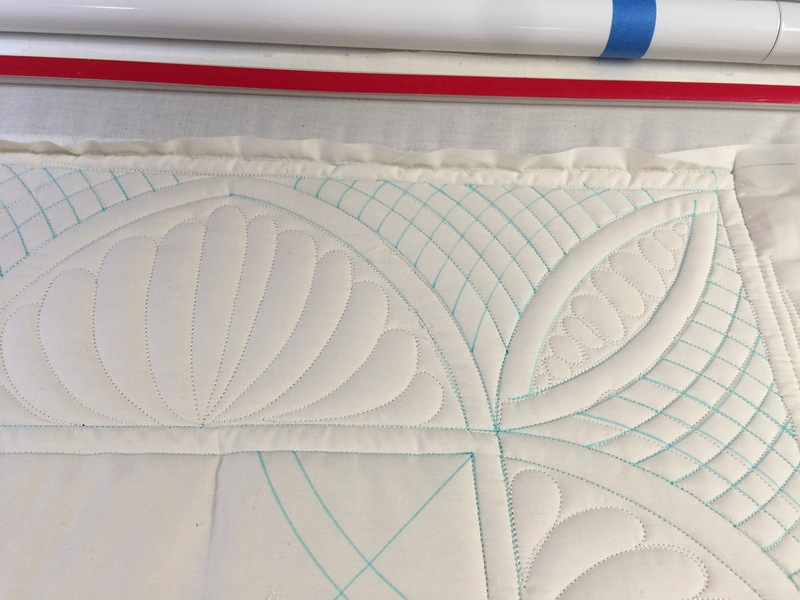 Just a few weeks back, Vicki Welsh did a blog post about adding fabric to your backing while your quilt is still on the machine. I hope I don’t need to look it up, but I know it’s there.